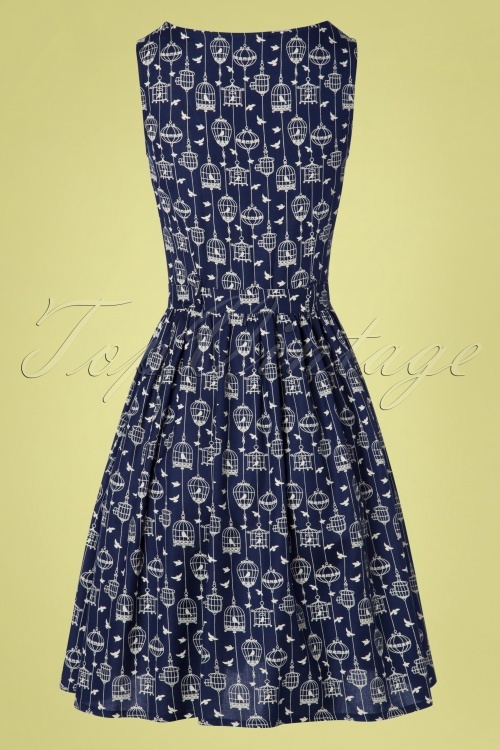 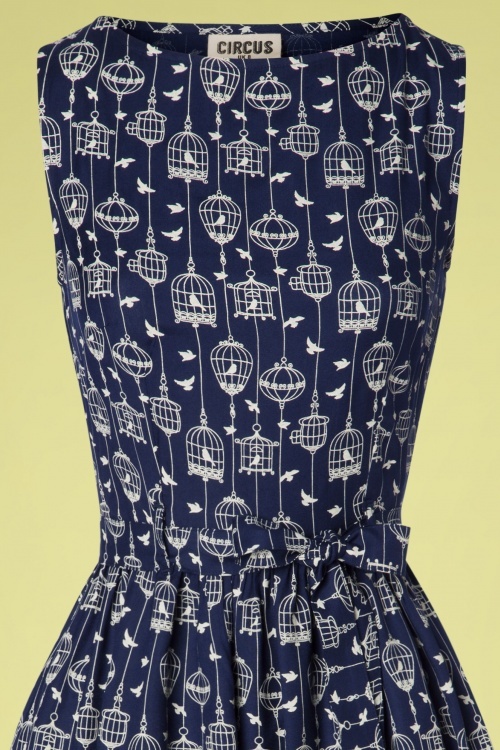 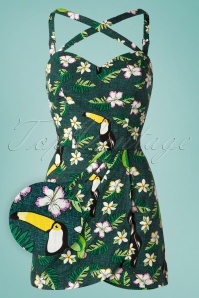 New spring/summer collection ~ This 50s Birdcage Swing Dress in Navy is simply too cute! 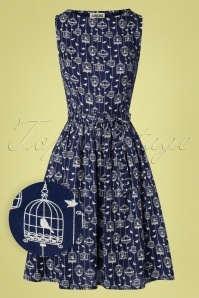 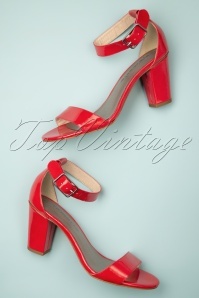 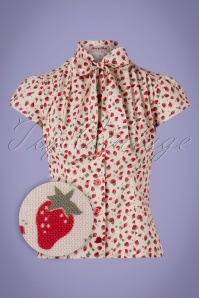 She features a round neckline, a cute tie belt at the waist and runs down into a flattering semi-swing skirt. 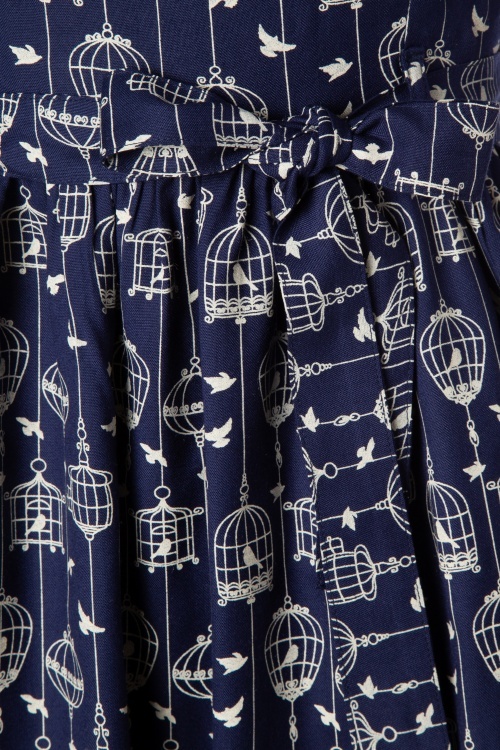 Made of a supple and breezy, dark blue fabric (doesn't stretch) with a fabulous print of birds and birdcages. 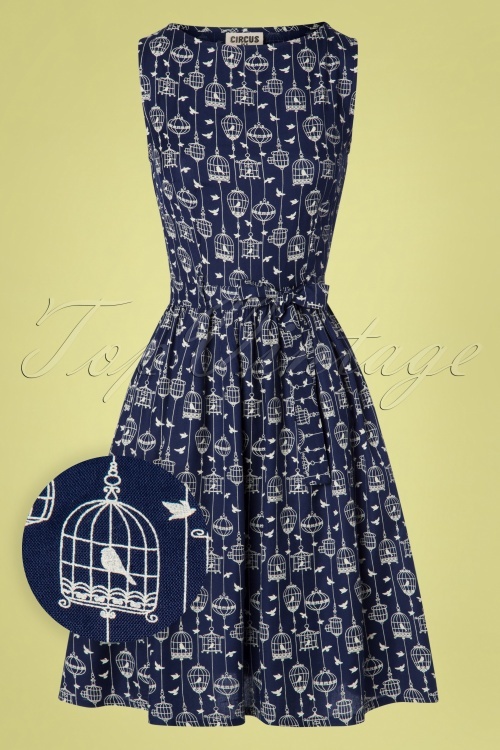 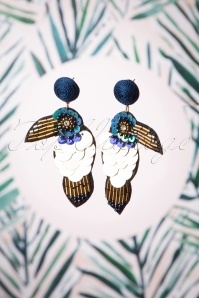 Will this birdcage cutie fly into your wardrobe? 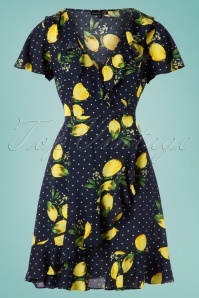 Meteen verliefd op deze jurk. 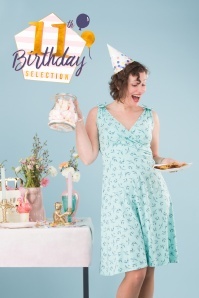 Valt goed op maat, mooi stofje!